Published by Cyril Huze September 15th, 2016	in Builders, Customs and Events. 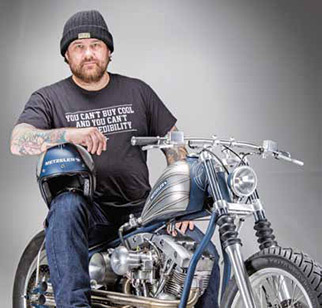 Metzeler Tires and Indian Larry Motorcycles will be holding a raffle to benefit the Aidan Jack Seeger Foundation, a charity established to help fight Adrenoleukodystrophy (ALD). One lucky winner will receive an incredible prize: the world-famous Indian Larry custom METZELER custom bike that is used in METZELER’S “follow your dream” contest. The bike will be fitted with ME 888 Marathon Ultra front and rear tires that are specifically designed for mileage, performance and handling. Raffle tickets will go on sale at the Indian Larry Block Party on September 17, 2016. Once the tickets are on sale, the custom METZELER motorcycle will go on the road for several events, selling raffle tickets at each one. The events include Aidan’s Ride California October 8; Biketoberfest October 14–16; Aidan’s Ride Virginia October 23rd; and The New York Motorcycle Show December 9–11. More events are in the works for 2017, and tickets will also be available to purchase online. METZELER and Indian Larry Motorcycles will announce the winner at the 2017 Sturgis® Motorcycle Rally™. “It took us four months to build it.” Said co-owner of Indian Larry Motorcycles, Bobby Seeger Jr. “It’s a bike we’re really proud of and to see it used to contribute to such a worthy cause is really special.” In total, 2,000 tickets at $50 apiece will be available. METZELER hopes to raise $100,000 and is donating 100% of the proceeds to the Aidan Jack Seeger Foundation to help in the fight against ALD. The Aidan Jack Seeger Foundation, which was established in Aidan’s honor, seeks to raise funds for the purpose of helping families with children diagnosed with Adrenoleukodystrophy, heightening awareness about ALD and pushing for legislation in every state that mandates screening of newborns for the disease. Currently, New York is the only one of the United States to screen for ALD, thanks to Aidan’s Law, passed by the state legislature in the wake of Aidan’s tragic and untimely death. As of July 26, 2016, over 650,000 babies have been tested and 53 babies diagnosed with the disease. Thanks to early detection, these children will undergo monitoring and treatment that will allow them to live full lives. For more information on the Aidan Jack Seeger Foundation click Here. Great bike, great cause, great job! 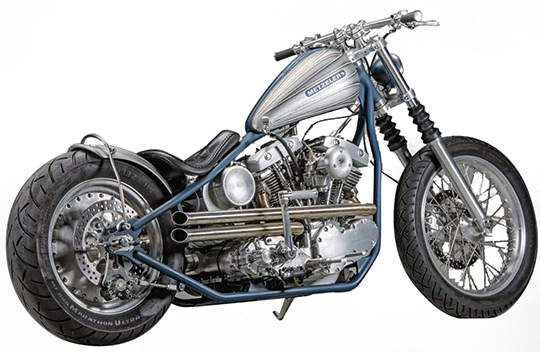 Both Metzeler and Indian Larry Motorcycles are class acts. I’ll be buying more than one raffle ticket. Aidan is a ruler!